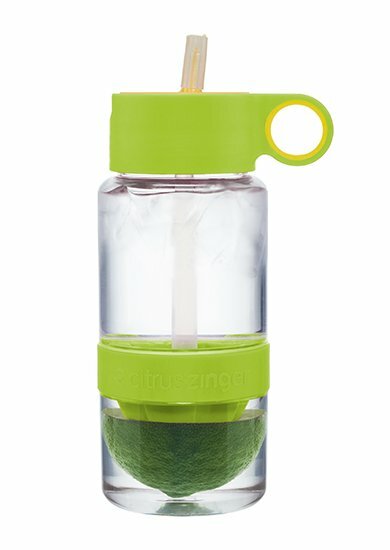 Water bottles Citrus Zinger from Zing Anything are unique! 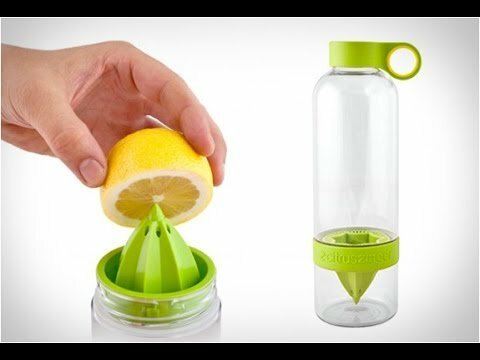 Easily delicious fruits water citrus and water. Ready in a snap. Put the Citrus Zinger on its head and press your favorite citrus fruit. 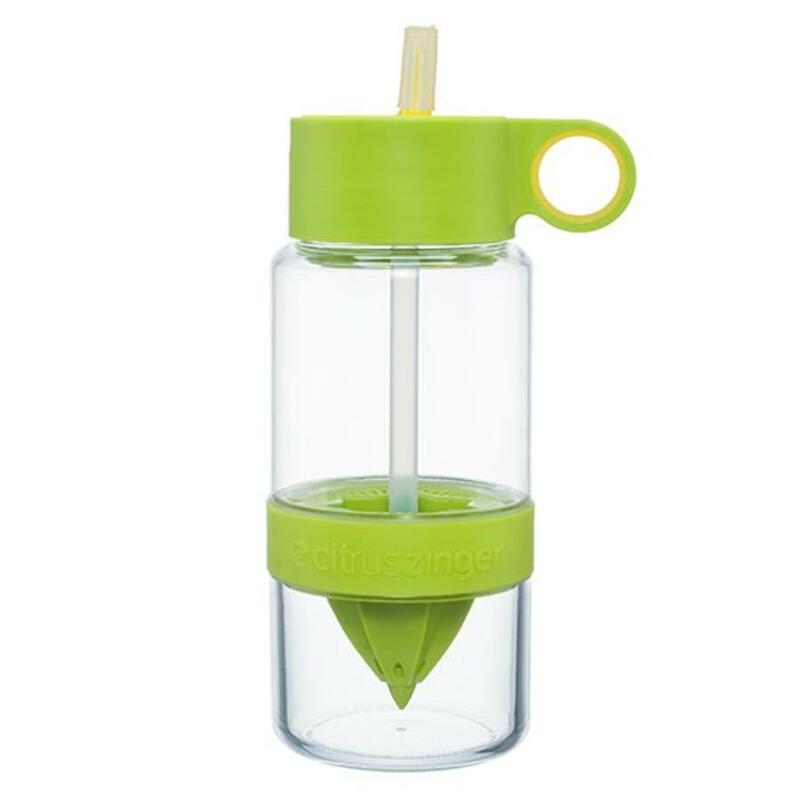 Replace the cap, turn the bottle and fill it with water. Voil?? your own fruit water, along with the necessary vitamins, made by you! 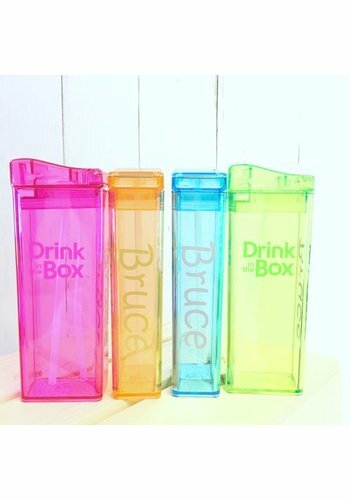 Ideal to take the special finger hole, perfect for travel, school, during an (air) travel, holidays and during exercise. It's simple, easy and delicious. 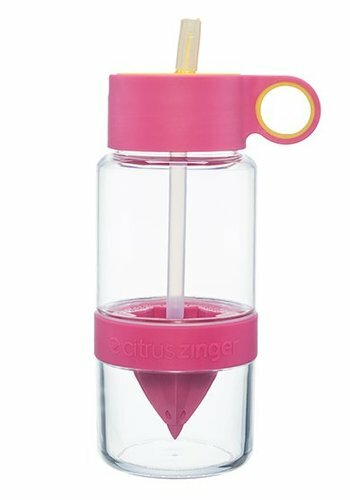 Designed specifically for citrus. 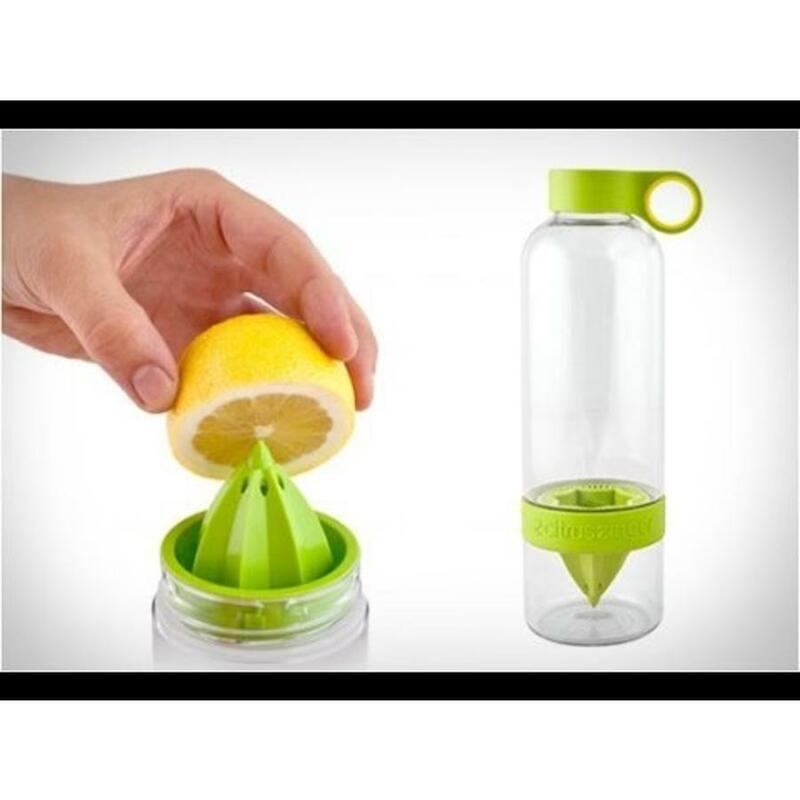 Sing away with lemons, limes, mandarins, oranges and more. 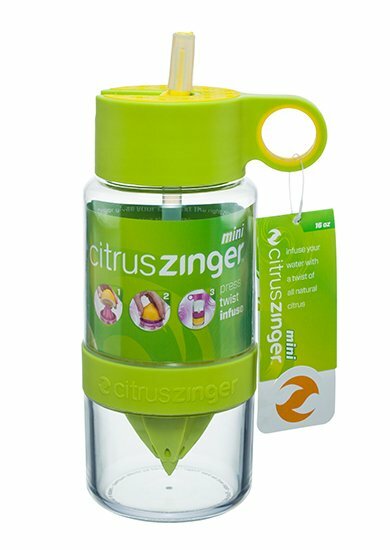 Citrus Zinger Mini provides an easy way for water to get the taste of citrus, directly into the bottle. 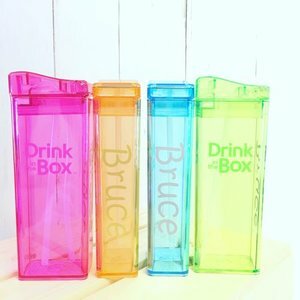 Enrich yourself water with vitamin C.
Drinking water is never boring. Make your own water with a delicious flavor. Citrus Zinger Mini provides a fun new way to enjoy drinking water. Create your own favorite fruit water. All you have to do is add fresh ingredients, turn and shake! see, for example, the instructional videos on youtube? 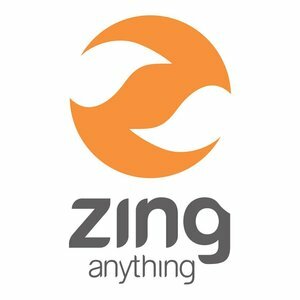 Check out our Zing Anything page . Rotate the bottom of the cup Zinger off, turn the water bottle (on the cap) and press a lemon half in the press. Turn back the cup and add water. 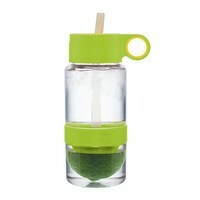 Now coming flavorful juices freely in the bottle which seeping in the water. Shake vigorously and stand here (in a refrigerator). Now you are ready to enjoy! Zing! The captured Citrus Zinger drink three days shelf life if refrigerated. If you plan to use your Sing creation within a period of 12 hours, does not require refrigeration. 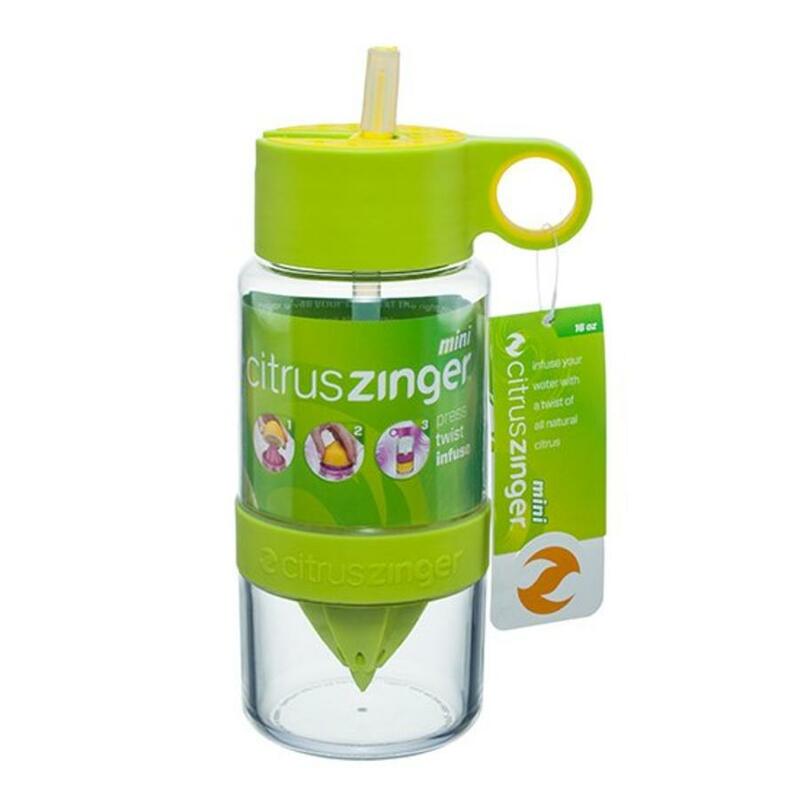 Citrus zingers can be refilled with the same citrus bottom but eventually the taste will probably decrease. To regain the tasty concentration of the first creation, we recommend to add new ingredients after two drunk zingers. Empty the Zinger completely, throw away the ingredients used and make the Zinger clean before you make a new tasty Sing Creation. Provide parental supervision when children want to fill the Citrus Zinger Mini.